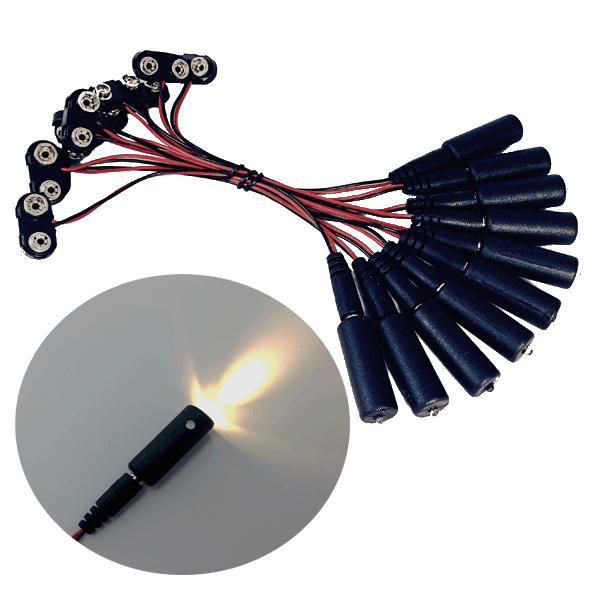 View cart “blacklight micro effects light 405nm violet LED with 9V battery clips – 5 pack” has been added to your cart. 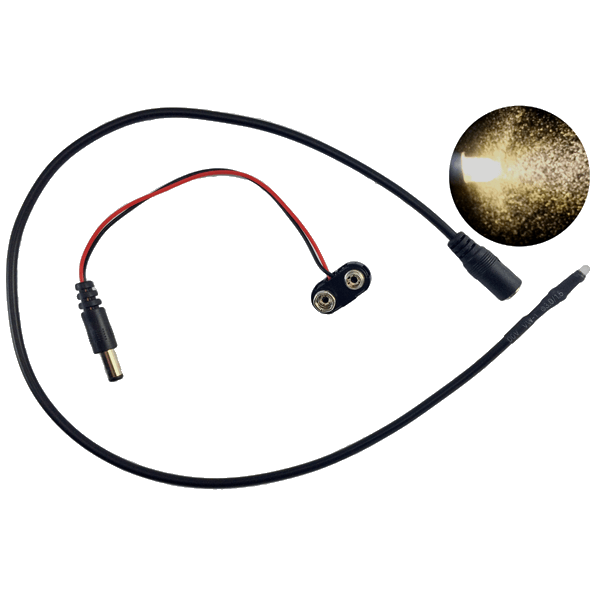 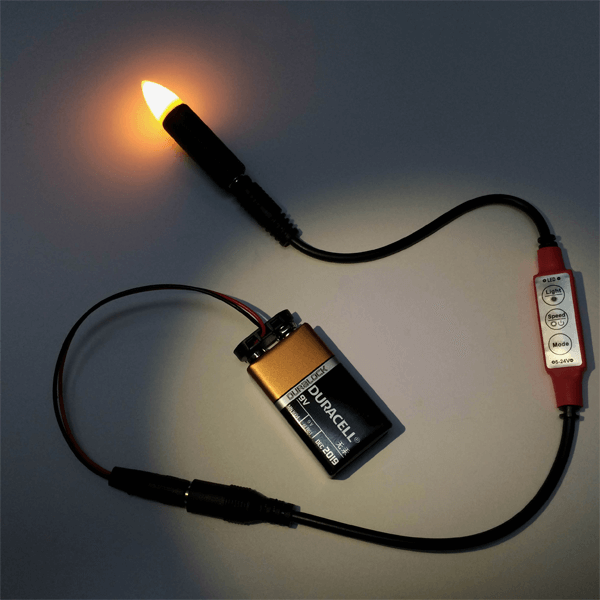 The MEL (Micro Effects Light) is a LED light source with a built-in DC barrel type connector. 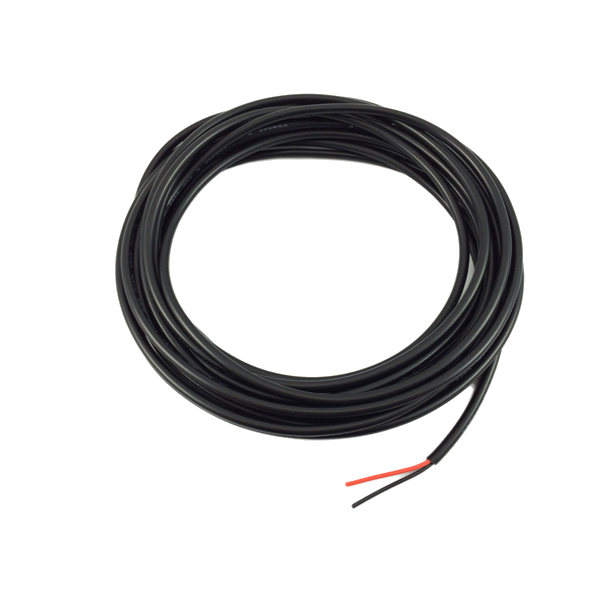 The 2.1 x 5.5mm barrel connector is very common for many low voltage DC power applications. 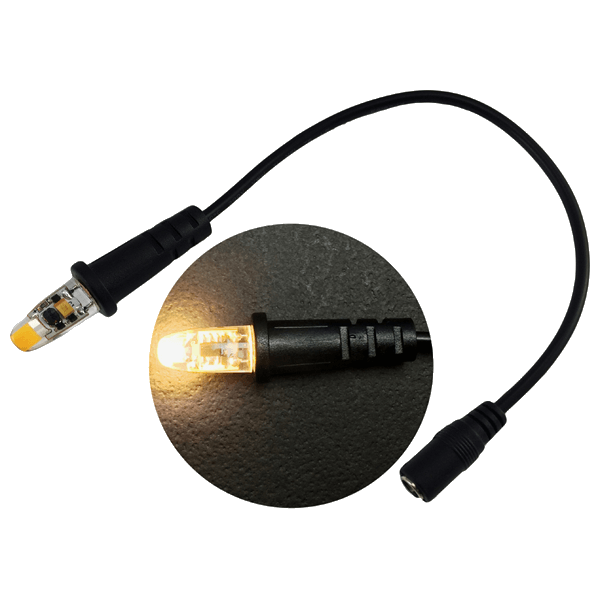 The MEL is optimized for high light output at 9 volts DC with a nominal power of 0.18 watts while operating at 20ma ref. 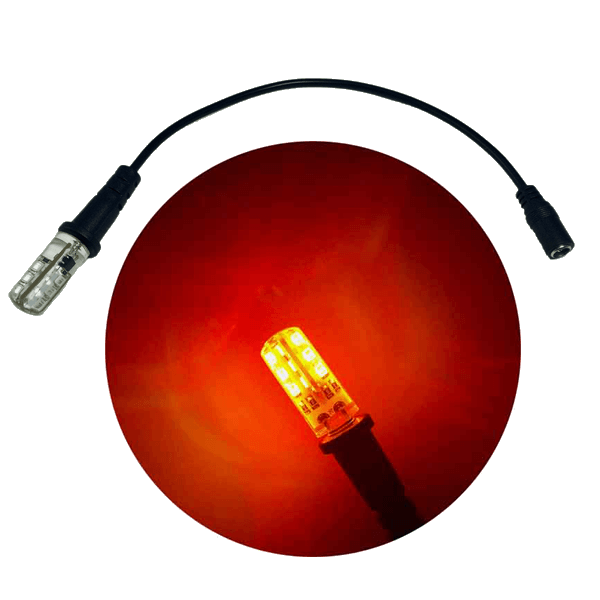 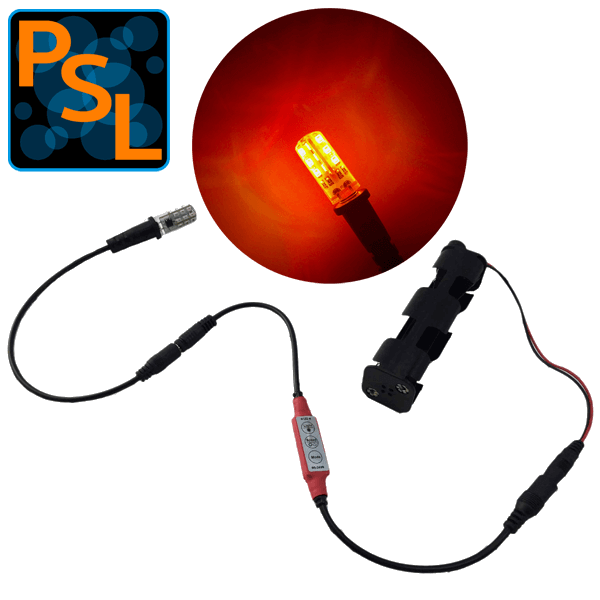 Well suited for various LED lighting applications such as: scenery, props, models, animatronics, robotics, fx, special effects, costumes, and Gaffer’s mini flashlight, theatrical stage markers, and escape room props. 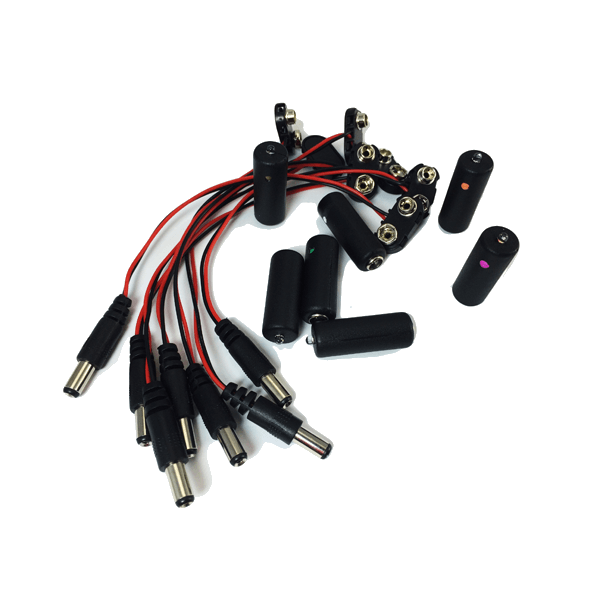 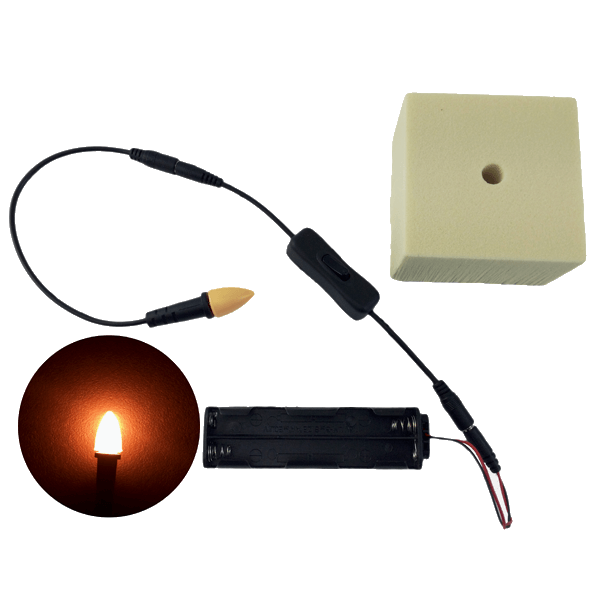 This kit includes 10 pcs warm white MEL light and 10pcs 9 volt battery clips with 5″ ref wire leads. 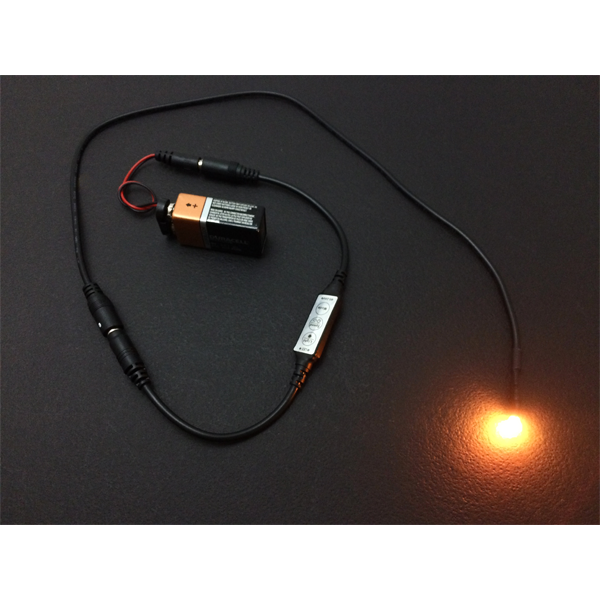 The overall length of the light and the clip is 8″ ref.